Arthrodesis is the surgical immobilization of a joint by the fusion of the adjacent bones. 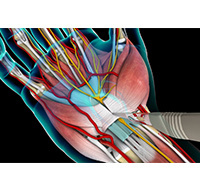 Total wrist arthrodesis, also known as wrist fusion, is a surgical procedure in which the wrist joint is stabilized or immobilized by fusing the forearm bone (radius) with the small bones of the wrist. Cubital tunnel syndrome, also called ulnar nerve entrapment, is a condition caused by compression of the ulnar nerve in an area of the elbow called the cubital tunnel. The ulnar nerve travels down the back of the elbow behind the bony bump called the medial epicondyle to enter the cubital tunnel. 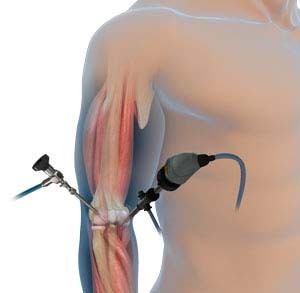 The cubital tunnel is a narrow passageway on the inside of the elbow formed by bone, muscle and ligaments with the ulnar nerve passing through its center. 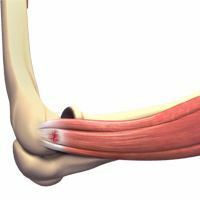 The roof of the cubital tunnel is covered with soft tissue called fascia. 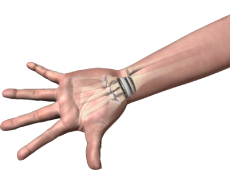 When the elbow is bent, the ulnar nerve can stretch and catch on the bony bump. 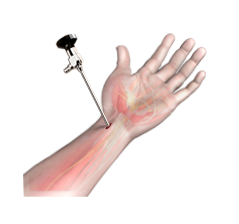 Cubital tunnel syndrome, also called ulnar nerve entrapment, is a condition caused by compression of the ulnar nerve in an area of the elbow called the cubital tunnel. The ulnar nerve travels down the back of the elbow behind the bony bump called the medial epicondyle to enter the cubital tunnel. 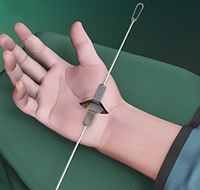 Hand therapy is a rehabilitation technique recommended to improve the strength and restore functional activity of hands in patients with upper extremity injuries. Hand therapy also helps in preventing injury.